Contractor 20/20 has the know how and experience to help you catapult your sales to the next level. Using these seven steps will benefit you and keep you ahead of the competition. 1. 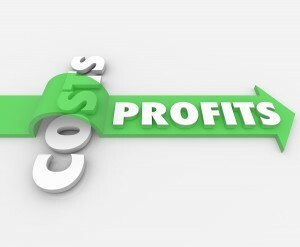 We determine your cost per new customer. 2. We consider how your yellow page ad internet ads content, placement, as well as your top of mind awareness are affecting your results. 3. We show you how your numbers compare to the national averages and top results. 4. We recommend proven methods to increase response. 5. We want to know: New or Repeat? Where did they find your phone number. What page of the phone book. What book. What ad. What year book. Did they see your truck. A postcard. A magnet. A window thermometer. A valve tag. Equipment ticket. The internet. Did they book an appointment. Who was the tech. What was the sale. You need to know what is working, so you can do more of it, and what is not working so you can fit it or eliminate the waste. FACT: Proper placement, content and awareness method can make your advertising results six times better. MEDIA SURVEY— We call every radio, TV and cable station in your area to determine the most efficient ways to build awareness. 1. Targeted to your best customers by age, gender, income and lifestyle. 2. Your target area-your service area. 3. We calculate the cost per percentage part of target audience reached with each commercial (CPP) to determine best advertising buys in your area. FACT: Most contractors waste more then half their advertising dollars. 2. Quality, price and reputation perception of your company. 3. Awareness level of your company. 5. Percent of consumers without a company preference. 6. Estimated resistance to growing your market share. 7. We determine if you need to build simple awareness or change consumer’s minds. FACT: The more undecided a consumer is without a preference for a particular contractor, the easier it is to grow your company. DIRECT MAIL—The cure for slow months and increase customer retention. 1. We’ve looked at the most successful mailers of 150 companies and studied the expected rate of return from both repeat customers and the general public and pick the best for you. 2. We consider the effect direct mail has on the transfer of your sales from high demand months to low demand months, the effect on average ticket, customer retention and smoothing out work flow and cash flow. 3. When you get repeat customers to buy in a slow month that frees up time to serve more new customers in high demand months. FACT: If you don’t stay in touch with past customers you are cheating yourself out of profits. MARKETING HISTORY AND FUTURE GOALS DISCUSSIONS—We discuss your goals, history and potential in detail to determine your profitability and growth goals by specific products and services. FACT: If you don’t know where you have been and where you want to go, how will you know when you get there? Look at your past marketing results Consider your competitive strengths and weaknesses Consider what would be your best marketing position Shape your company today so you can become the company you want to be two years from now. COMPREHENSIVE ADVERTISING PLAN-we give you budgets and the creative scripts necessary to achieve your goals. Direct Mail strategy to create immediate sales during your slow months. PROFIT POTENTIAL STUDY—we study costs; labor, material, overhead, average sale, hourly efficiency to determine optimum pricing and staffing levels. FACT: Charging too much due to poor planning hurts your business just as much as charging too little and cheating yourself out of your deserved profits. Why so Low? What we are really after is the opportunity to provide your radio, TV, cable and direct mail needs. The same way your travel and insurance agency makes their money. An accredited advertising agency receives 15 to 20 % agency discounts from radio, TV, cable and direct mail vendors. After we find the best pricing available for stations and/or programs that perfectly fit your target and puts them out to competitive bids. The vendors offer us the discounts that provide our fees. In essence, they pay us to beat them up. Our profit counseling, yellow page counseling and are free of charge to our regular clients. Our job is to take business away from your competition and make you more profitable. That’s why we limit ourselves to 1 client per trade per 200,000 population with the maximum of 3 in any single market. If you’re ready to stop complaining about low profit . . . if you’re ready to stop complaining about high cost of marketing . . . now is the time to do something about it. Call Mike Morosi @ (607) 770-8933. -Do you want direct mail that gets results? Renewing repeat business, maximizing customer retention, acquiring as many new customers as you need? -Do you want better results from yellow pages? -Do you want to pay less for TV, radio or cable advertising? -Do you want 18% net profit? Unlimited growth? -Do low profit & high advertising costs have you ready to scream? -Our over 100 clients in 40 states and Canada will tell you, we know how to cure all of your marketing headaches. Check out our references on our web site.